Christiansen Heating & Sheet Metal, Inc. has been providing heating and air conditioning solutions for homes and businesses in the Wisconsin area since 1938. Whether you need a new furnace, air conditioner, tankless water heater, standard maintenance, service or repair, Christiansen Heating & Sheet Metal, Inc. is ready to help you and your family stay comfortable and save on energy costs. 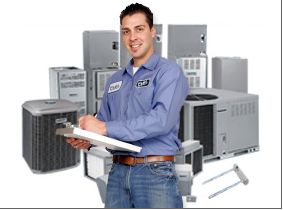 We will satisfy all of your HVAC needs from service contracts to new construction, including engineering and/or design problems. Our commitment to quality control and prompt service is at the foundation of our success. 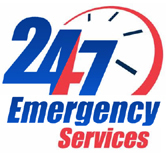 Get Your service or estimate today. At Christiansen Heating and Sheet Metal, Inc., we are committed to meeting your comfort equipment needs and to keep your system running reliably and efficiently for years and years. With professional technicians, we are your first choice to meet your indoor comfort needs with our Home Comfort Protection Plan Maintenance Agreement. Learn how tankless water heaters work. Having the right person on the job is just as important as choosing the best equipment. Combine with our highly trained staff of professional installers and you have indoor comfort systems built to last. As a ComfortMaker dealer we'll help you select and maintain your comfort system, install it and provide quality service. We also provide quality products from Luxaire and York. Because your broken furnace doesn't care what time it is. No heat, gas leaks, or dangerous situations.